A while ago I was invited to a Wenatex event and wrote a fairly popular article about it. Recently I received another invitation and decided to attend the event, take notes, obtain information and generally be a conduit through which people can ascertain more information about the company and what the free invitation really entails. The invitation (pictured right) gave a tiny bit of information but no real details of Wenatex itself; much as was the case with the previous invite I received and blogged about. Shortly before 7pm, I arrived at the venue, the Torrance Room within University House at the Australian National University. It was fitted out to banquet spec; twelve chairs in an 'L' shape with the focal point being a single bed and Wenatex branded display poster. My instantaneous reaction was favourable as it appeared a lot of time and effort had gone into attempting to impress event guests. Totally, there were four attendees and the presenter; a man who made an effort to get to know us and to tell us a little about himself. The night started with around 15-20 minutes of introduction to Wenatex the company. It covered who they were, what they did, information about how the company was founded and their mission. The presenter was knowledgeable about the company and seemed well practiced at the spiel. Although I had done some prior research into the company there was additional information that I garnered from the intro. 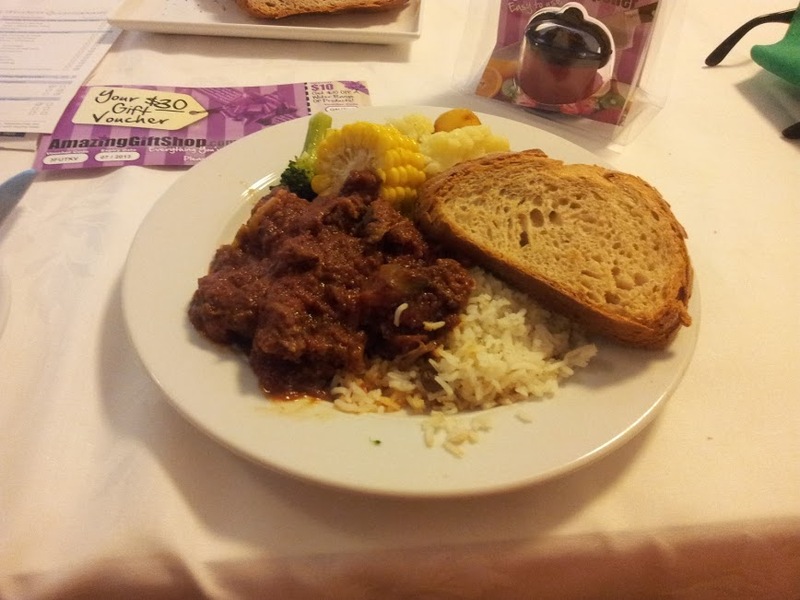 Following the introduction came the free dinner, as offered. 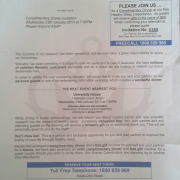 Wenatex are not the caterer so I don't feel it fair to besmirch the quality of the meal; they after all did not cook it. 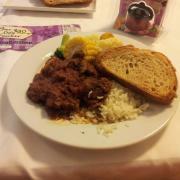 I was served some kind of chili/rice dish with sides of corn and fresh bread. It was edible but even as a recipe following amateur I could probably create better. They also served a fried calimari/prawn tempura attempt with a side of chips and salad to other event guests. Again I don't think it's overly critical to say it was nothing special. That being said, Wenatex are not in the food business and they change venue (hence food) with each event so your mileage may vary. I can't say I learned a huge amount of information about sleeping from the talk itself. I got the feeling often that the questions posed by the speaker were leading with the sole purpose of making the participant think the Wenatex product is the only 'sleep system' appropriate for them. Would you spend a third of your life being uncomfortable on purpose? When you wake up have you ever felt tired? Has anyone woken up with aches ever? My opinion of it was that there was a fair amount of pseudoscience and confidence play in order to get the eventual sale. There was a huge amount of information thrown at me and I had no access to fact checking sources so aside from the things that I knew were incorrect I had to take everything at face value. I found a link to one of their seminar booklets which I believe is available on their website. This should give readers an idea of the sort of information given out. One thing I did notice about the talk was that from the start the emphasis was decidly not on sales. The idea of the talk appeared to take the standpoint that the presenter is a 'sleep expert' and they're going to give tips on how to improve sleeping habits. Each person was encouraged to fill in a questionnaire which was then analysed and recommendations given on improving quality of sleep. Since I have no trouble sleeping with my only vice being that I regularly take less 4-6 hours a night I was encouraged to 'Make the most of the sleep with a better bed'. If an attendee suffered from temperature variation it was advised that the sleep system would remedy that. If there was disruption via snoring, the orthopaedic pillow would solve that. The audience were lead to draw their own conclusions from the evidence given and had that all been taken on face value as true; the obvious conclusion drawn would be that Wenatex are the only bed manufacturer to supply adequate beds. 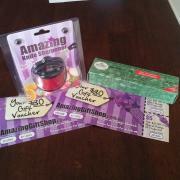 In addition the attendee was given a $30 voucher to shop at http://amazinggiftshop.com.au. 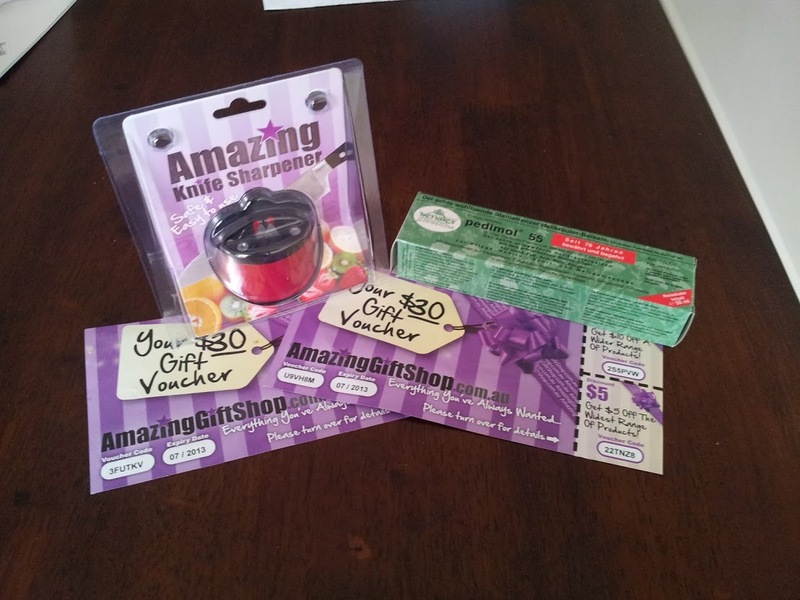 My definition of a gift does not stretch to a voucher for money off but as an observer only interested in the experience it was not my place to stir, rather just to report back the facts. I was able to lie down on the bed and test it toward the end of the seminar. The sheer length of time taken to 'learn' everything about sleep meant that by this time I was ready to sleep for real. It was no doubt a comfortable bed to lie in., but I would guess it all boils down to personal preference, and budget. My personal opinion is that there is a fair degree of snake oil involved with certain aspects of the entire package; namely the herbal inlay but I would not stand in the way of any person wishing to buy a bed; indeed a couple attending did buy one. The prices were shown at the very end of the seminar. Again, I managed to find an online copy of the seminar price list for perusal. As it states, seminar prices are at a 25% reduction which is very compelling in a hard sell environment. However interesting the talk may be to people attending I was strongly reminded of my Time = Money post. 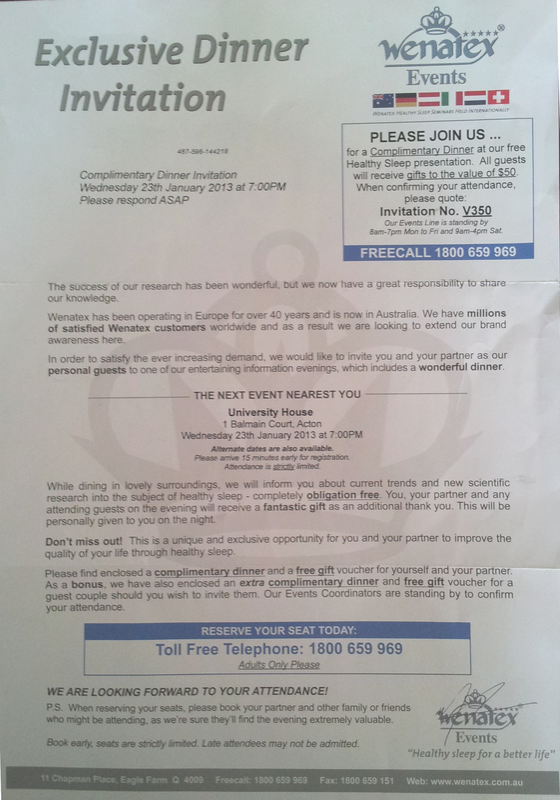 Spending four hours of my time going to a seminar on sleep is simply not worth my time for the '$50 free gift' and at a guess a $5 dinner. I do not however, believe that it is a scam. There is no requirement to buy anything and attending the event is obligation free. I ended up leaving 4 hours poorer, with a full stomach and a knife sharpener. If you're looking for a new bed consider this company in the same way you consider all others. The only major difference is how they market and sell their beds, with suspiscion perhaps being gained by this slightly unusual tactic. A lot of their tactics probably are in breach of the law. You definitely cannot make misleading or deceptive claims about a product..
Hey Adam, just got an incorrectly addressed wenatex invite in the mail (of course we open any mail that lands in our mailbox!) Looked decidedly like a readers digest promotion and googled. Got your write up and excellent review. I'm in marketing and love seeing this stuff just for the pure tactical assessment of how they get people in and try and convert them. Your review just saved me 4 hours of my life (minus the 15 mins to review your post and follow links). So thanks - great post. My invite was for Turkish Pide house in Jamison. I know the food is good there but for $18 a head for the banquet I think I will pass on the bed timeshare hard sell and just pay. Without going into too much detail, my wife and I have been to numerous free dinners, and have slowly put our bed together, first we bought the pillows, then the doonas, then we have finally bought the mattress. this is how we fitted into our budget. each time our sleep became better. Now I have trouble getting out of bed because it is sooooo comfortable and I get a great nights sleep. Personally I think that the price is worth it considering the product, the health benefits that I personally feel, and the fact we wont have to replace it for many many years. Putting cost vs replacement (or life span), this is probably one of the cheapest expenses we will have. I can only say that if you are thinking about buying one, go to a seminar, get all the information, and a free dinner, DONT BUY ANYTHING, go home think, plan, budget, and then if it is affordable, go to another seminar, get another free dinner, then buy one without the pressure. Personally this has been one of the best purchases we have made. I paid a deposit 14 weeks ago, the next day I contacted Wenatex and notified them I had changed my mind. After making countless phone calls it is now 14 weeks and I still have not received my deposit. Can I suggest, try harder. Can I suggest, try harder. Simply ask directly. Also perhaps make better decisions in the first place. I've a solid knowledge of this company. One might even say inside knowledge ;) There are a lot of genuine, honest, dedicated people working for Wenatex. The products are brilliant - I have the quilt - nothing like it - and have slept on the beds. Also amazing if you have a bad back. The company doesn't put what they sell into shops because they have found that they can't sell any more that way than this way. The poor agents only get money when someone buys the product on the night so have a care for them. It's a tough gig. All sorts of unsavoury characters turn up to the nights too and they have to be super nice, no matter what. Plus they have to rent the gear from the company. They basically have to PAY to have the chance to sell the beds. So, true there are some amateurish even arrogant aspects to the company, but they do what they do, the way they do it out of the ernest belief they are doing good. It's a nice way to view the world. Something a lot of your commentors should try. I received some mail from this company for a previous tenant. I decided to fax it to Wenatex so that they could save themselves a stamp in the future. The fax number on the letter wasn't connected and after a bit of digging around I found a number in Queensland. If they can't be bothered to redirect their 1800 number when moving, what happens when you have a warranty problem, or even worse, an injury that needs them to respond to? I bought a wenetex mattress and pillow and dooner which I think are very nice the mattress is very comfortable the quilt is excellent on cold nights you don't have to be weighted down with a lot of blankets the pillows well I find they lose their content I like a semi flat pillow I had to add more inner Con tent. The price is a little stiff I may have been ripped off $6000 is a bit high only because I didn't get the base. Over all I like the product ..
Is Wenatex still going in Australia? Is Wenatex still going in Australia ? I've been trying to contact them and all numbers have been disconnected. I think we've all been ripped off. I've been trying to get my refund back (after cancelling my lay-by) for over a month. When I did get through I was told that someone would get back to me. I'd wait 2 days and would call back. And around in circles we would go for 2 weeks. That's when I left my last msg and I'm still waiting for them to get back to me. Its been 2wks now so I tried to call yesterday and found that all numbers have been disconnected. I have bed,sheets (they fit like a glove!) mattress & lastly the bed base & pillows.I do hope Wenatex has left us. Migrating from multisite to singlesite.